Master data is one of your most valuable business assets, powering the processes that drive your organisation. The best-designed processes will become ineffective if their underlying master data is poor. We work to build governance into your master-data maintenance processes to prevent poor quality data at source. With better quality data comes improved operational efficiency, trusted analytics, reduced risk and tangible cost-savings - all achievable through the implementation of a technology-driven data quality framework. We believe that data ownership and accountability are key to achieving higher data quality and will work with you to build the foundations to support a data-driven culture. The rise of disparate data landscapes, adoption of new analytical techniques such as machine-learning and ever-increasing volumes of data presents organisations with new challenges. We help organisations to move beyond legacy tools and techniques to gain deeper insight, make better decisions and react faster. 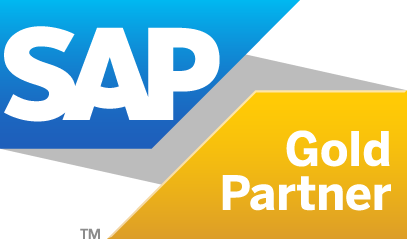 As a leading partner for SAP Master Data Governance, we have extensive implementation experience delivering a range of services including feasibility studies, proof of concepts and technical delivery. Our experience spans a range of vertical functions, data domains and sectors within global organisations helping them improve their data accuracy, internal resource efficiency and process control. Our unique approach to data quality sees us combine extensive project experience in technologies such as SAP Information Steward, Data Services and SAP HANA with a business-friendly front-end to help you take ownership of your data. Our library of technical content, pre-built cleansing and integration tools and project accelerators will also de-risk your implementation, while reducing time-to-value. We help you solve your business data challenges using market-leading technologies such as SAP Data Hub and SAP Process Mining. The services we deploy range from classic data integration, to orchestrating and analysing complex processes across disparate system landscapes. Our approach can bridge the gap between enterprise data and big data structures to improve the integrity of your organisation’s business intelligence and analytical operations. Improve the quality of your business data and you’ll reap the rewards of better strategic decision-making, increased operational efficiency and regulatory compliance. Better management of your master data maintenance processes allows faster, simpler deployment of data initiatives and cuts the costs incurred by master data errors. The implementation of S/4HANA presents organisations with a significant opportunity to improve and transform their business. Well-managed data is critical to project success. We can define and implement a data strategy to ensure your project delivers the expected benefits and smooth your journey to S/4HANA. We’ll help you unlock the value of your data across your entire system landscape and maintain governance over your data flows. You’ll benefit from a single version of the truth and be able to orchestrate complex processes across disparate environments, blending big data, cloud sources and on-premise databases to create a true competitive advantage.